If there's one decorating tip interior designer, Emily Henderson has learned throughout her successful career, it's don't take it too seriously. You really get a sense of that mentality in her Second Life podcast interview. "Have fun with it," she tells me. "Every space should be inviting, comfortable, and filled with items and products that you love. As you decorate, don't forget to bring in your personality into the space. The pieces you never planned for or don't necessarily fit into your theme are usually the ones that level up a room." As the Target home style expert, Henderson has truly mastered the high/low aesthetic, incorporating vintage with modern and affordable pieces with finesse. She seamlessly marries affordable pieces like throws, pillows, and rugs with high-end furniture pieces to make a statement in any room. Her favorite Target piece right now is the new Wingback Chair from the Threshold fall collection. "It's timeless due to its clean, simple lines that will be in style for years to come, but the narrow wood legs give it a midcentury feel, which adds a bit of edge," she says. It's all well and good to see an expert curate this mix effortlessly, but how do we pull it off in our own homes? We asked Henderson to share some of her insider tips and decorating secrets on how to create a beautiful, functional space that is packed with personality and on a budget. "A room should reflect the person that lives there and uses it every day. When I first start decorating a room, I like to get to know the person—how they live in the room, what they want the room to function as and most importantly, how they want the room to feel. Is it cozy and inviting, more formal and traditional, a place to kick up your feet or a room that they want to function more efficiently than it currently does?" "Personality: This can be brought in through an heirloom piece, a piece of art the homeowner has owned and loved, or even something vintage. Filling a room with brand-new items can be beautiful, but adding in pieces that make it unique and special add that personality and soul that every room needs. "Function: Form over function or function over form is an age-old designer battle, but every room should function just as well as it looks. "How much space you have to work with usually speaks to the scale of an item you use in that room. If your living room is on the smaller side, you don't want to put in a giant overstuffed sectional paired with two hulking wingback chairs, but if your ceilings are tall and your floorplan is open, then you're going to need larger items to fill the volume of the room. That's not to say you need tiny furniture for a tiny room, but if you want to live comfortably around your furniture (i.e., have enough room to walk around your sofa or coffee table), the proper scale is everything." "Texture is so important and helps add character to a room. I love shopping at Target for layering pieces—like throws, pillows, and rugs—because they are affordable yet stylish and help to make a room more visually interesting. The Threshold fall collection has some incredible textural pieces like this chunky cream blanket that would look so good on any sofa or chair, this beautiful striped area rug, and this cozy plaid table throw." "I don't think there has ever been a space that I have designed that didn't have some blue in it. Blue is one of those colors that can read as a neutral while still bringing in an actual color, so I love using it throughout all of my spaces. It's a cool color that is calm and inviting while still being timeless and not trendy. When someone is 'afraid' of color, blue tends to be a bit of an easier sell… kind of like a gateway color." "The Project 62 collection is great for small spaces. 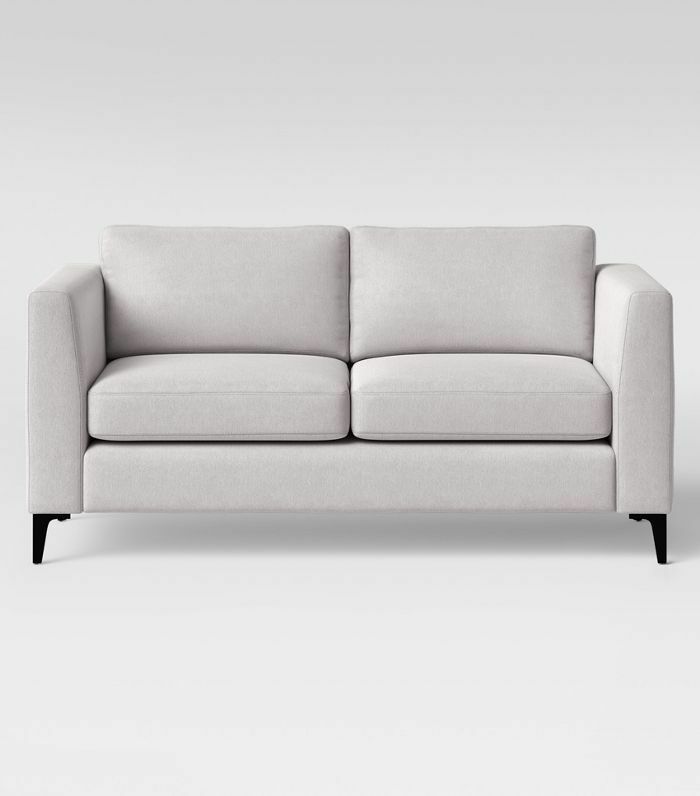 For example, this gray sofa features a simple, sleek design, but won't take up too much space. Made By Design is another great collection to use if you are short on space. I love using open shelving in small spaces to make a kitchen feel bigger and add a layer of personality. 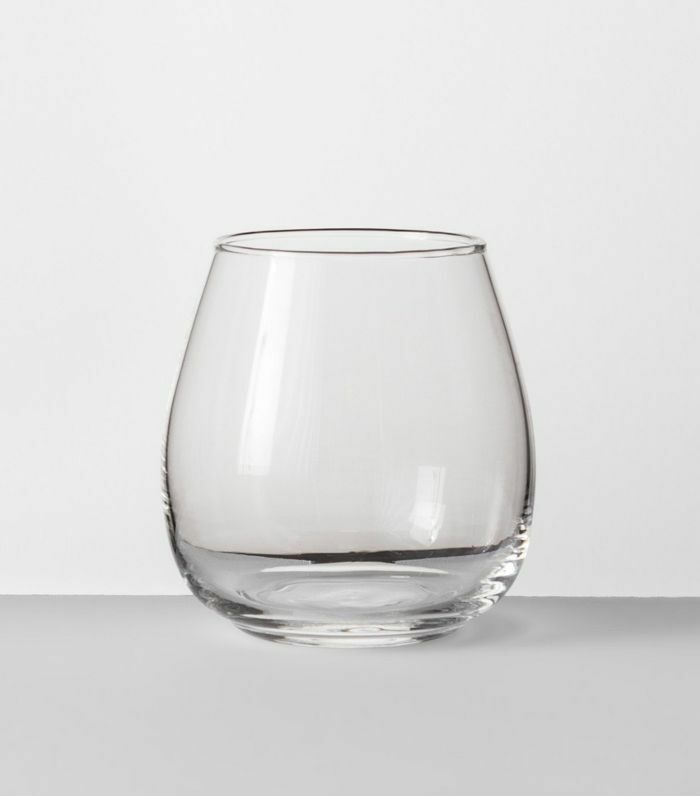 These Made By Design stackable wine glasses look so good on open shelves and are a huge space saver for small spaces." "Swap bulky furniture pieces like desks and nightstands with ones that feature handy compartments for storing books and tech items like laptops, cords and TV remotes. 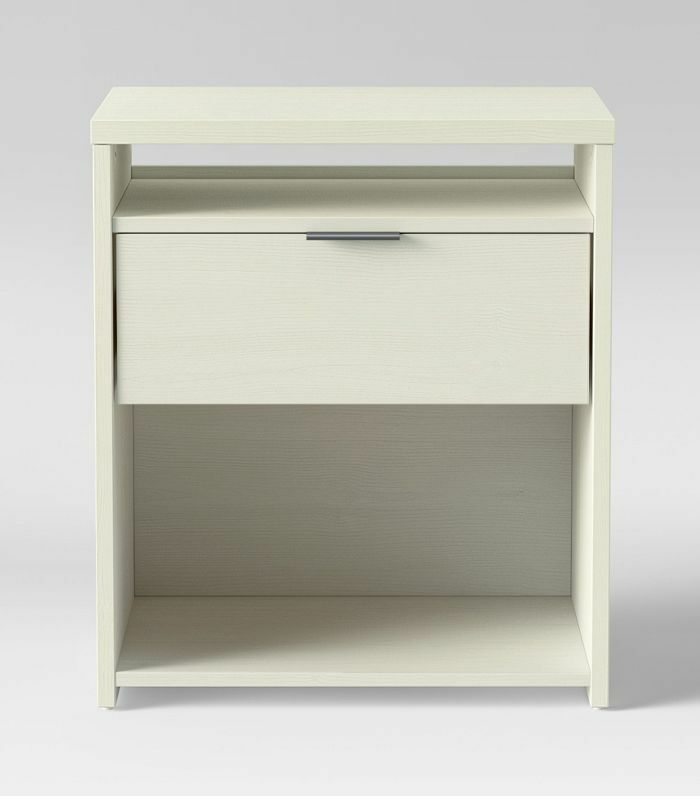 This Made By Design nightstand is a great size and has an easy-access storage cubby. I also love using decorative storage baskets both large and small to help keep clutter off the floor. 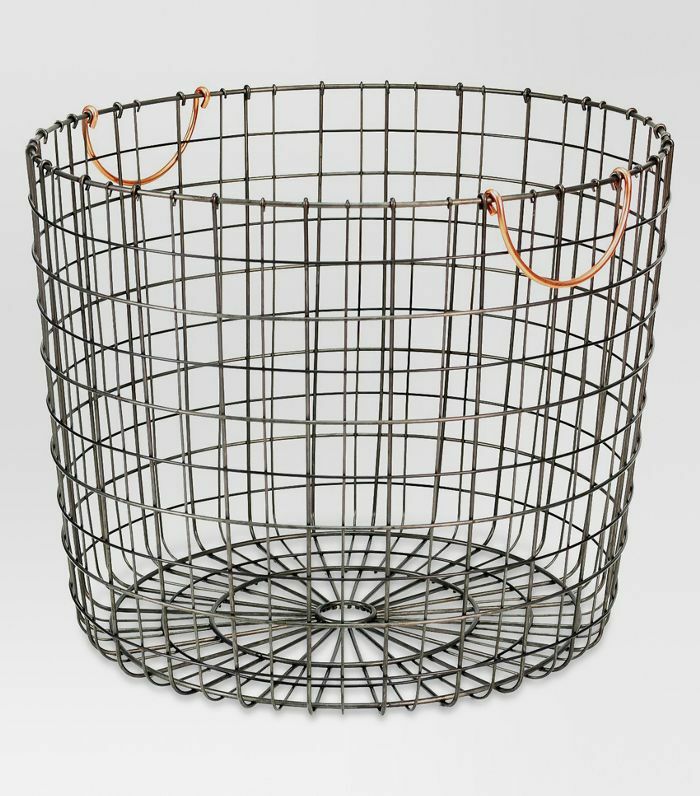 "This Threshold basket is great for storing laundry or pillows and is made with a durable metal construction that will last for years to come. 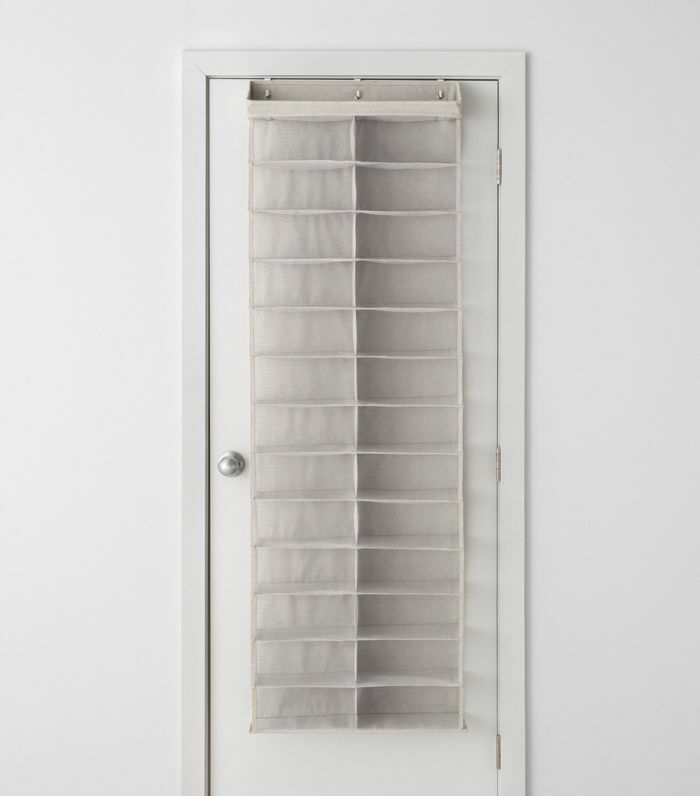 Personally, I am very short on shoe storage, so I love using an over-the-door organizer like this one from Made By Design that helps me visually see my different options and is great for small spaces." "Just like you wouldn't start baking a cake without all the ingredients and recipe in front of you, so it is with the design. You can definitely design with spontaneity, but having a game plan before you start purchasing larger pieces can save you a lot of time and headache later down the road. Choosing a theme (colors, materials, and mood/feel) can help you as you go shopping to navigate through all the many options out there, cut through potential paralysis of choice and home in on pieces that will work for your room/theme." "Not measuring the space first or double checking your measurements. I have done this before, and it never ends well. Before you head out to a store to shop or start browsing online, do some preliminary measurements of your space (and doorways) and find out exactly what size sofa/table/chairs/rug will work best in your space. Tape it out on the floor with blue painters tape to help you see it visually and then go to the store prepared with a set of measurements so that you can easily navigate the many options available." "Make every room a room that you want to spend time in. Whether that is achieved by making it more family friendly, more comfortable, or filling it with items that make you happy. Every room should be a space that evokes joy and makes you happy when you are in it." "Ambiance is important, there is nothing worse than being stuck under fluorescent light. Every room should have at least two (if not three) sources coming from a few different heights to evenly disperse light throughout the room. 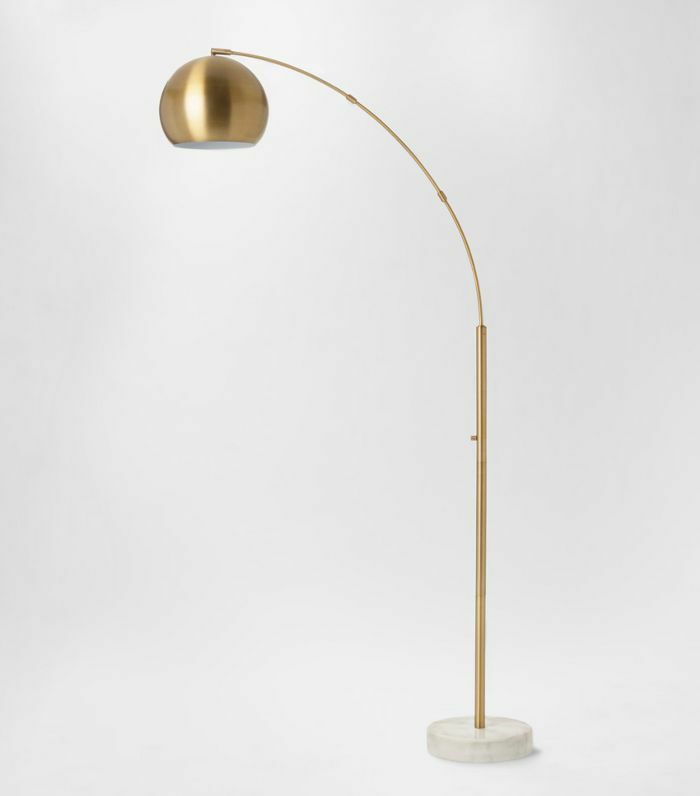 I love using a brass statement floor lamp like this one in the living room that can be moved around and easily works with just about any color palette or style." "No matter your personal style, there is a Target Home collection for you. 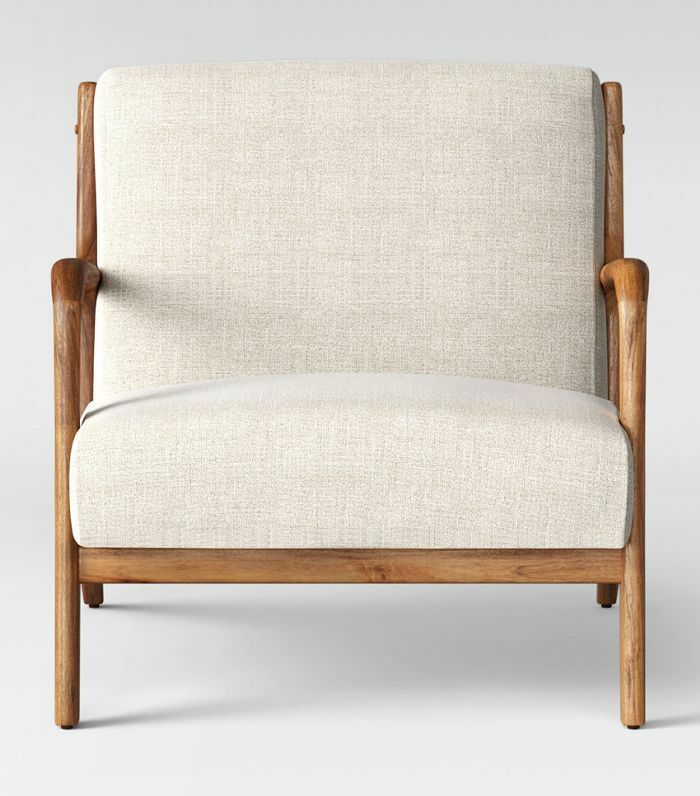 For example, if you tend to gravitate towards modern pieces, try Project 62. If you can't get enough of globally inspired décor, you will love Opalhouse. Target's newest brand, Made By Design, features functional yet stylish basics that won't break the bank. I love Threshold because it features relaxed, classic pieces that you can use for years to come. The best part is that these collections work so well alone or when styled together. "One of my biggest tips for styling Target home pieces is don't be afraid to mix and match products from the different home collections I just mentioned. The pieces within each collection obviously work well when styled together, but the various aesthetics from the different collections also complement each other so well and are made to be mixed together to create a unique look. For example, if you're going to use a more color- or pattern-heavy duvet from the Opalhouse collection, consider grounding the look using neutral bed sheets or streamlined dressers from Made By Design." For more design advice and style inspiration, subscribe to the MyDomaine newsletter.